After a day of work assisting Leslie, she and I decided to spend a bit of time taking photos in the snow. 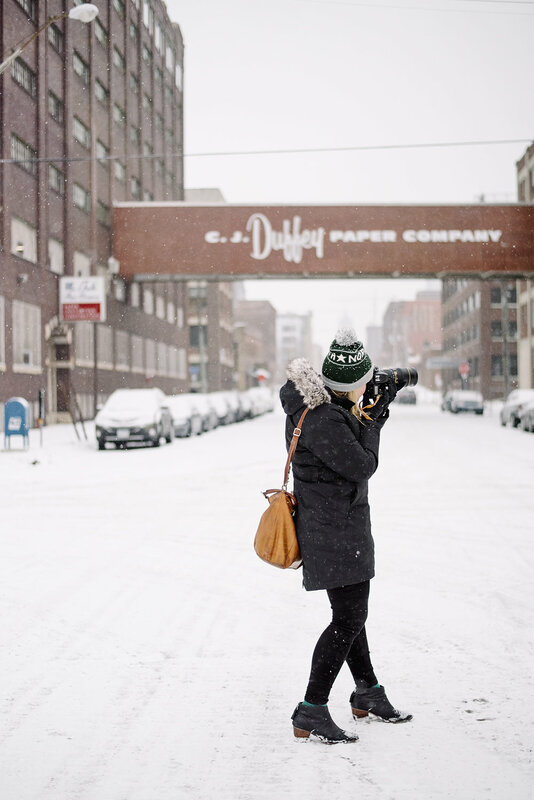 From downtown we headed to the North Loop and I snapped a few pics of the iconic Duffey Paper Co. skyway. Whenever I am in this part of Minneapolis I am just so, so amazed by how much it has changed over the last 10 years. But, this street, and this sign, still seem to have stood still in time - it is such a beautiful scene. 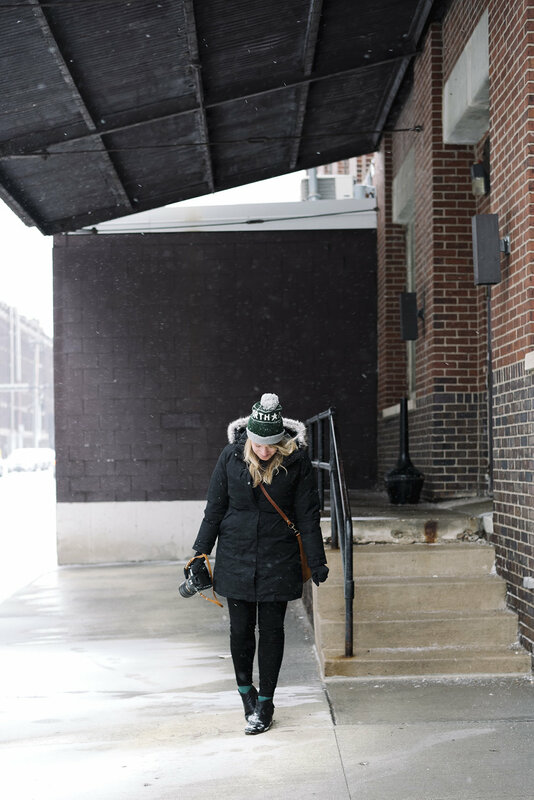 Check out Leslie's amazing photography, and follow her blog!